A century ago, you would have paid an average of 6 cents for a loaf of bread. Today, that same loaf will run you around $3! Back at the turn of the century, rent cost about $25 a month. Today, even the most rustic accommodations can average around $600 and up monthly. Clearly, the cost of simply living is continually going up, and it shows no signs of reversing itself. This trend of cost increases, of course, has ushered in an absorbing new hobby for folks like you and me. Today, every minute we can spend figuring out creative ways to cut costs on the things we can't afford to do without can put hard-earned dollars and cents back into our pockets towards other goals. Since heating represents one of the highest annual costs in most Canadian households, in this post we share the most efficient heating solution for any space. Larger spaces such as family homes and commercial offices. Variable speed fan blower. Reduces noise and drafts while saving energy. Two-stage ignition valve. Allows the furnace to run at half capacity during temperate winter days to keep temperatures even and save energy. Current estimates indicate that as many as 66 percent of Canadian households may use a forced-air furnace for heating. This makes sense, given that a forced-air furnace can quickly heat larger spaces and the home’s interior duct system can pull double duty in the summer distributing cool air. However, not everyone loves these big box draft-makers, which are also great at circulating dust and allergens through your house (unless you have your indoor air ducts professionally cleaned regularly). As well, the older the furnace, the less efficient it will be. Models ten years or older may waste as much as 40 cents on the dollar in energy usage on exhaust fumes alone. Conversely, the new energy-efficient models will waste only 10 to 20 cents, depending on whether your unit is designed to deliver high or medium efficiency. Smaller spaces such as condominiums or apartments. Supplemental heating for add-on spaces. The heater itself is a truly economical investment. Add a circulating fan for extra savings. If you have an electric heater already, congratulations: you have a heat source that is literally 100 percent efficient! This means your heater earns every cent of energy you pay for honestly, by heating your space. An electric heater doesn’t blow like a traditional furnace, so you won’t feel any drafts. Instead, it uses baseboard, wall, or floor-mounted heat emitters. However, this may not be the heater for you if you have a larger space, due to the costs of electric energy itself, which in many areas will be pricier than natural gas, propane, or oil energy. Smaller spaces or spaces without existing ductwork. Doubles as an air conditioner and dehumidifier in summer. The mini-split ductless version is ideal for homes without existing ductwork. Air-source, geothermal (ground or water-source), and absorption (gas-fired) heat pumps offer additional savings options. 2-speed compressors save energy and work well with ductless (zone) systems. 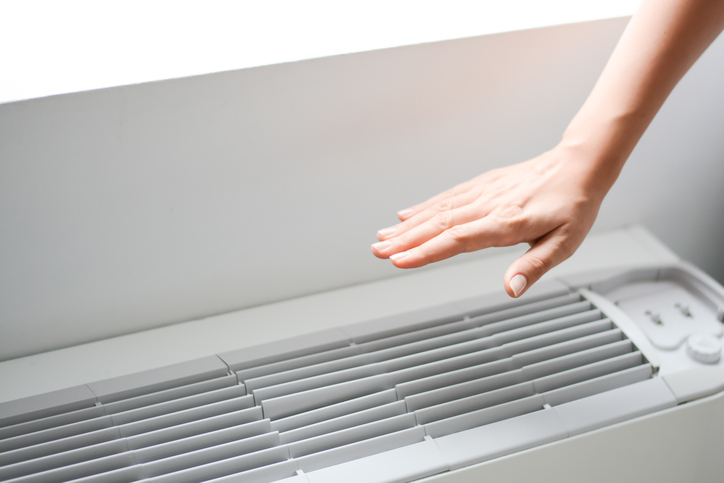 Back-up burners can supercharge a heat pump in colder weather so it can be used as a primary heat source. De-superheater addition (in high-efficiency models only) can double as a hot water heater. A heat pump doesn’t actually heat air. Rather, it moves air around to optimize your comfort. So in the winter, a heat pump will move (or pump) warm air indoors. In the summer, a heat pump will move warm air outdoors. In the right space and/or with the right additions, a heat pump can generate the same amount of heat (or cool air) for half the energy use of a traditional furnace. While traditionally heat pumps were rarely seen in areas with weather extremes, today’s heat pumps are increasingly able to do the same type of heavy lifting as their traditional furnace cousins. Supplemental heating in add-on or unheated indoor spaces. Homes or spaces with an existing radiator or radiant heat network. Condensing boiler with secondary heat exchanger to extract extra heat from the exhaust fumes and conserve energy. The heating boilers of decades past were not noted for their energy efficiency, hovering right around the 60 percent mark, in good company with old-school furnaces. But today tells a different story, and some of the newest high efficiency heating boilers boast efficiency ratings of up to 95 percent! As the name suggests, a heating boiler generates heat by heating water. The boiler then uses any number of systems to distribute the hot water as heat. A boiler can use either hot water or hot steam as a heat source, but the former is considered to be more efficient. At this point, we have made it through a good portion of the winter season. But it is not over yet, and those heat costs will just keep coming until it is! We always want to remind our clients about the incentives offered by Ontario’s Home Energy Retrofit program, which is offering $100 million in incentives to homeowners who choose to upgrade to energy-efficient furnaces, water heaters, and insulation. 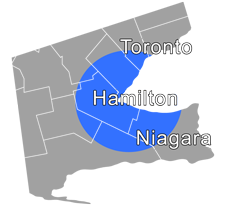 For help with maintenance and repairs for your existing heating system or a consultation about a heating system upgrade, you can reach us anytime at 905-549-4616 or online here.